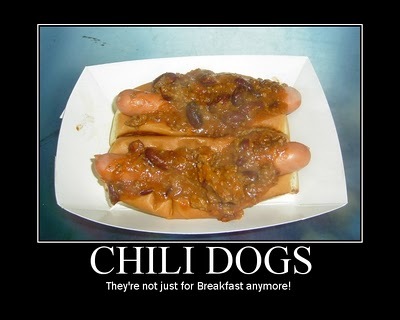 My wife got these pictures on her email at work. 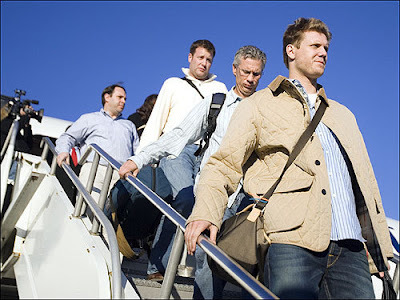 They're photos of the Red Sox returning on their plane from Game Four in Colorado. Enjoy this rare glimpse into the unseen world of Sox on a Plane! 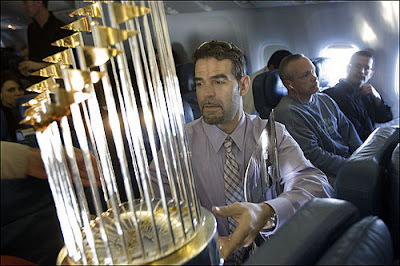 Here's Mike Lowell with his MVP Trophy and the World Series Trophy. 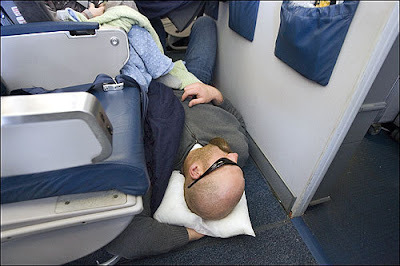 Hasn't Mike ever heard of stowing stuff in the overhead bins? 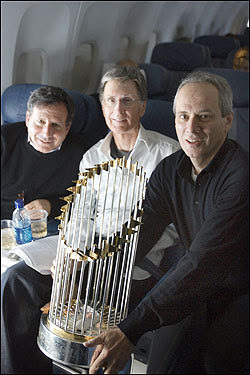 Tom Werner, John Henry and Larry Lucchino with the hardware. 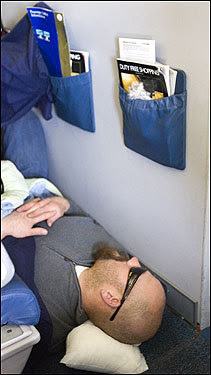 Kevin Youkilis catching some Z's. Big Papi and some of the guys get a card game going. 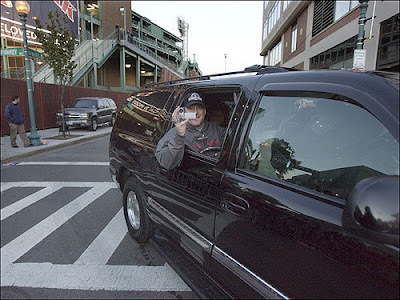 Youkilis doesn't want to play. Julio Lugo snuggles with his wife. 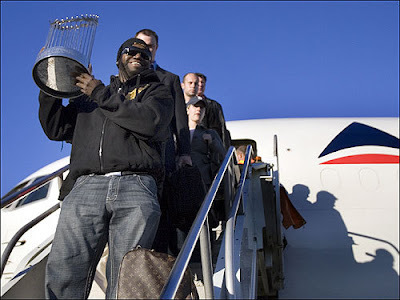 Big Papi carries the trophy off the plane. Jonathon Papelbon and others follow. 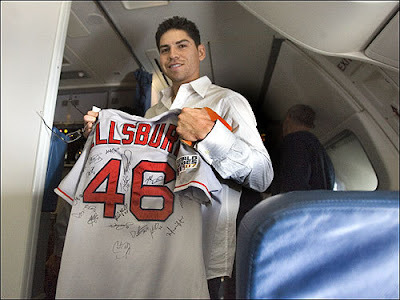 Jacoby Ellsbury shows off a signed souvenir shirt. Curt Schilling working the video cam.